Cuba´s Foreign Trade and Investment Minister Rodrigo Malmierca gave Collin Granderson, assistant to the Secretary General of the Association of Caribbean States (ACS) a document that extends the number of products with preferential tariffs. In an exclusive interview with Cuban news Agency, José Chaple, director of Commercial Policy for Latin America and the Caribbean at MINCEX, said Cuba included 340 new products to those approved in 2000, while the ACS granted the same to 80 Cuban products. Caple explained the inclusion of more products answers to the fact that Cuba’s is a bigger economy, and it has a special treatment to the Caribbean, and highlighted this allows a greater access to the market and favor bilateral cooperation, foreign investment among other things. The first time Cuba granted special concessions on products was in 2000 when it signed a cooperation and trade agreement with 12 countries in the region. 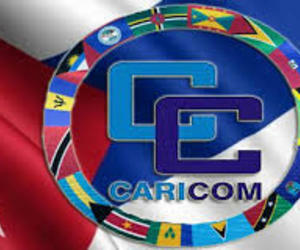 Ever since Cuba has a preferential treatment to the eastern Caribbean countries, with full access to the Cuban market. Regarding doing business with the Caribbean Chaple said Cuba needs to continue creating working relations with entrepreneurs in the area for them to attend the trade fairs in order to create stronger bonds.